Giving students choices and the means to assess their progress fosters metacognition and independence. My most engaging lessons are ones where I introduce a complex idea or problem and then turn it over to my students for further inquiry. These lessons generally consist of concepts that challenge students’ thinking, call into question their preconceived notions, invite controversy, and have multiple pathways. While students are busy searching for answers, I join conversations, ask probing questions, and provide guidance and feedback as they draw their own conclusions. We can empower our students to be in charge of their own learning by creating interesting, open-ended tasks that target real-world skills, meet our learning objectives, and enable students to make choices and then measure and reflect on their progress. When I challenged my ninth graders to write editorials about issues they felt passionate about, they very quickly began to share their opinions about a range of issues such as gun safety, discrimination on gay dating sites, increased wages for the military, and how veganism may be the solution to global warming. I taught strategies for effective argument writing, and they eagerly began to search for sources to prove their points, attempting to convey the magnitude of the issues yet temper their obvious bias, so they could convince readers to change their thinking. These are the kinds of conversations I want to be having in my classroom because these are students who are in charge of their own learning. As British professor Dylan Wiliam notes, “The amount of feedback we can give our students is limited. In the longer term, the most productive strategy is to develop our students’ ability to give themselves feedback.” We can empower our students to track their own progress by offering them “I can” rubrics (like this one) that provide meaningful measures to help them monitor their progress during an activity or project—and we can circulate and confer as they use the rubric to guide their work and ultimately improve their performance. Teacher feedback offered during this process should be objective and nonjudgmental as the rubric dictates the measures for a successful outcome. Teaching students to self-assess fosters metacognition and independence—valuable skills throughout one’s life. What aspect of your work do you think was most effective? Why? How so? What aspect of your work do think was least effective? Why? How so? What specific action(s) would improve your performance based on the feedback you received? What advice would you offer to next year’s students to help their performance on this task? What did you learn from working on this task — about the content, topic, process, and/or yourself? Student reflections can also serve as a powerful formative assessment tool for the teacher—we can use them to make changes to improve the lesson design for future students. When students are in charge of their own learning, they feel a sense of belonging—the classroom becomes a space defined by them. And paradoxically, in providing greater autonomy for students, teachers are more important than ever because only a skilled teacher can set up the scaffolding for this kind of learning experience and thoughtfully guide students through each step of the process. 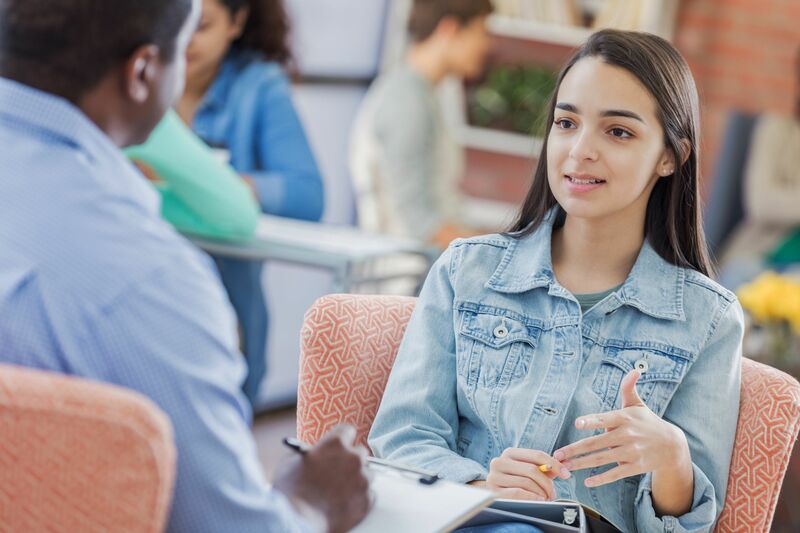 Like adults, students feel valued and respected when an experience challenges them, reflects their interests, and allows their voices to be heard. And when they are the authors of their own stories, they attend to each moment because they care deeply about the rising action, the falling action, and the resolution—the triumphs and the lessons are their own.